The story seems to be the stuff of legend. Over a hundred years ago, the two sons of India’s pioneering industrialist Jamsetji Tata were as different as chalk and cheese. Dorab, the first-born, was a responsible businessman who worked day and night to expand and diversify his father’s empire. The younger, Ratan, was a blithe spirit fond of art and travel and the good life. Lady Ratan Tata or Navajbai was a stunningly beautiful woman with an equal measure of talent. “Their travels led the couple to steadily acquire paintings and artefacts from Europe and Asia. Sir Ratan bought over a royal palace named York House in London and turned one part of it into a museum,’’ says Mukherjee. 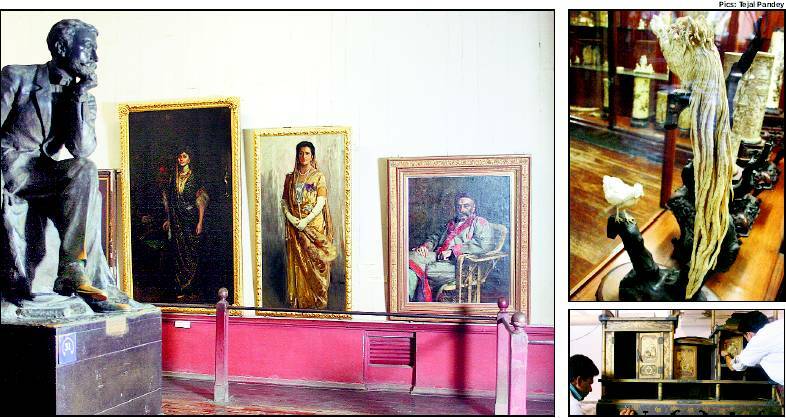 Following the example of his younger brother, Sir Dorab donated his entire acquisition to the museum, which has a permanent exhibit of the Tata Collection on the second floor. But there is a selection of Asian and European art that will be shown for the very first time, including the famous painting ‘The Sword of Damocles’ by Antoine Dubost that was recently restored. Over the past few weeks, attendants have been cleaning the carved furniture and setting out the display, which includes a white ivory rooster with an unending tail. The personal armour of Emperor Akbar seems to look proudly upon the portraits of the first family of Indian business which, like him, had its head and heart in the right place.